Green carpet cleaning is not only the best option for you and your loved ones, but it is the best option for the world we are living in. Toxic cleaning solutions have a huge impact on our environment. They can become airborne or even contaminate the water both which come back to us and are shared publicly. Using the low moisture green cleaning method for cleaning your carpets is the absolute healthiest alternative for the indoor quality of your home. The dangers of non-organic carpet cleaning products are big name brands that are sold in stores and can be very harmful for you and your loved ones. Harmful ingredients such as chemical solvents, acids, pesticides, sodium hydroxide, and Formaldehyde are added to these over-the-counter products. When sprayed these chemicals become airborne and can aggravate allergies and respiratory conditions. Ones that can be affected the most by these chemicals are toddlers and pets because they spend more time crawling around on the carpet. A great benefit of low moisture green carpet cleaning is that we do not pollute the air and it’s healthier for our environment. Traditional carpet cleaning methods can leave concentrated vapors in the air that cause indoor air pollution. This pollution can cause headaches, sneezing, nausea, nose, and eye irritation, fatigue, lung irritation, etc. Using low moisture green carpet cleaning services is a preventative of not only these air vapors, but mold growth as well. If carpet is left over saturated mold spores will develop in the backing and/or padding of your carpet. Once the mold flourishes it is almost impossible to reverse. The only option then is carpet replacement. Important facts to remember regarding home cleaning is that these harmful chemicals are mostly found in commercially sold carpet cleaning products. 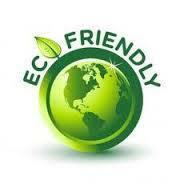 Going green should be your only option relating to home cleaning services for the sake of your family’s health. For more information regarding green carpet cleaning contact Pure Solutions serving Riverside, CA and surrounding areas at 951-787-8787.